Hello, everyone! Enza back with you to share my third and final post showcasing the Artomology collection by Jane Davenport. You can find the other posts here and here. 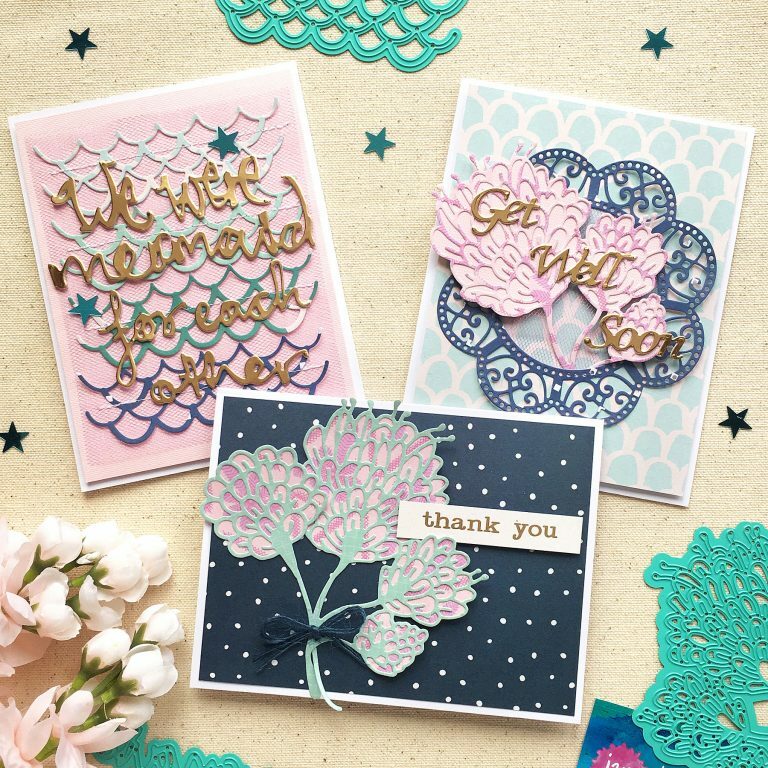 This set of cards features the Mermaid For Each Other and the Sea Flower Etched Die Sets. For the first card, I created a background with the wave border die included in the Mermaid For Each Other set. 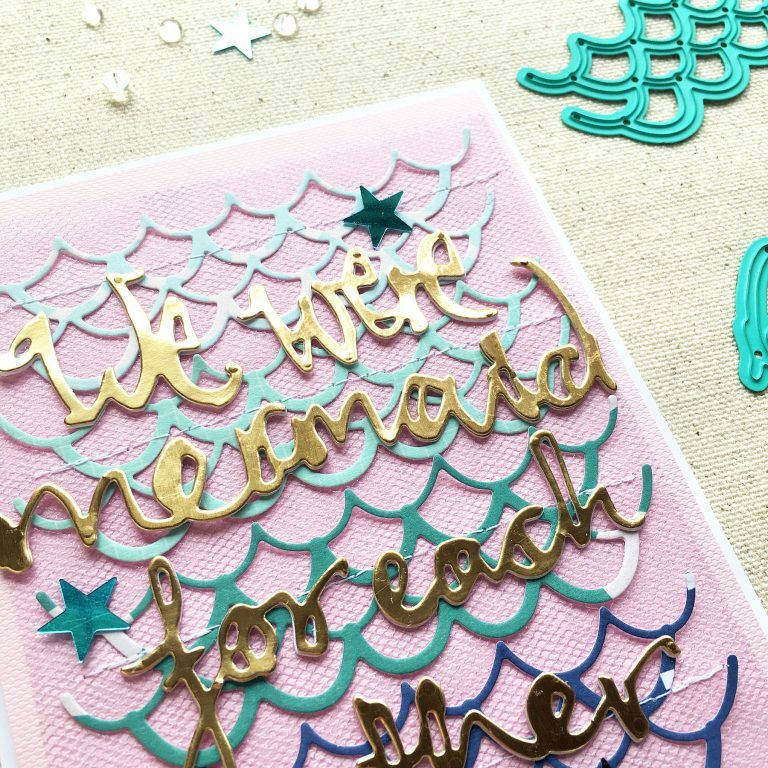 I cut it several times out of different shades of blue and teal patterned papers, that I arranged from lightest to darkest to achieve an ombre look. I also added some pink tulle behind the waves for texture, and machine-stitched everything in place to make sure it wouldn’t come undone. For the title I used a sheet of Metallic Gold Poster Board that I made thicker and sturdier by adhering two more layers of heavy-weight cardstock to it. The second card has a simpler design. 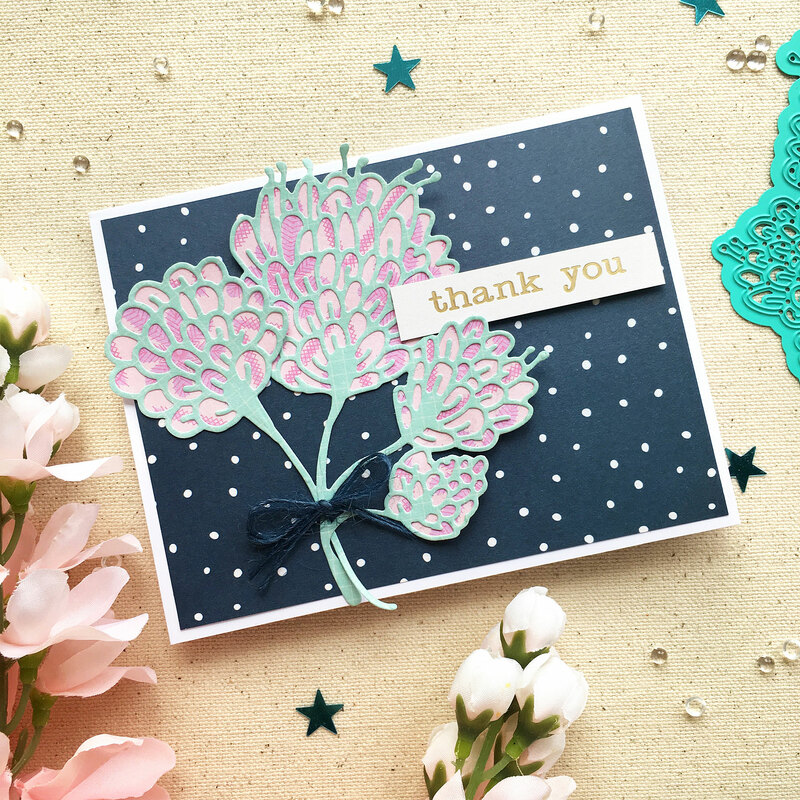 I used the Sea Flower Die Set to create a focal point in the center of the panel. 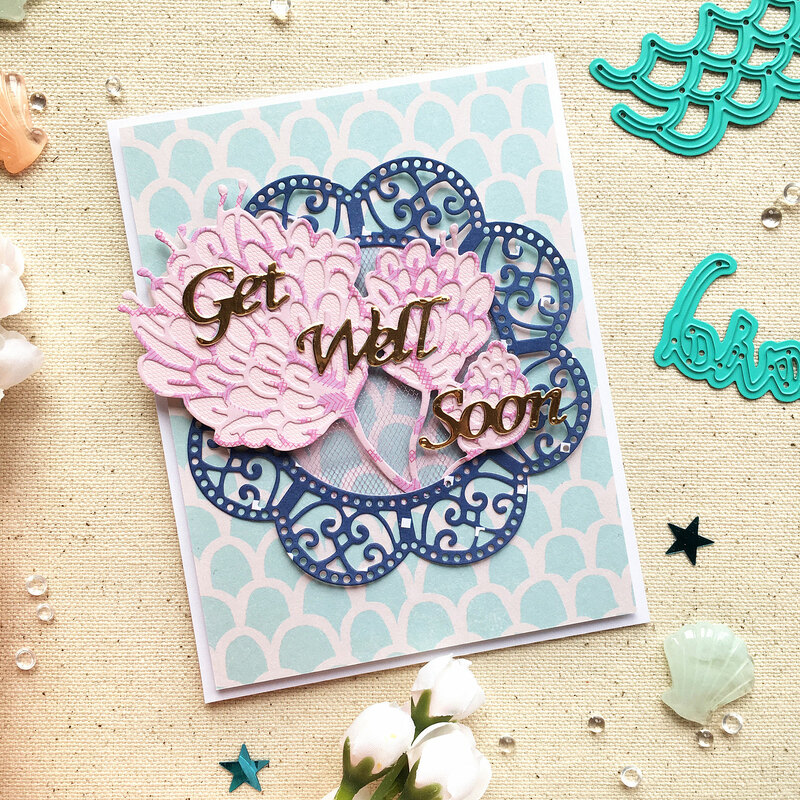 The scalloped circle and sentiment are from the Get Well Soon Die Set by Marisa Job. 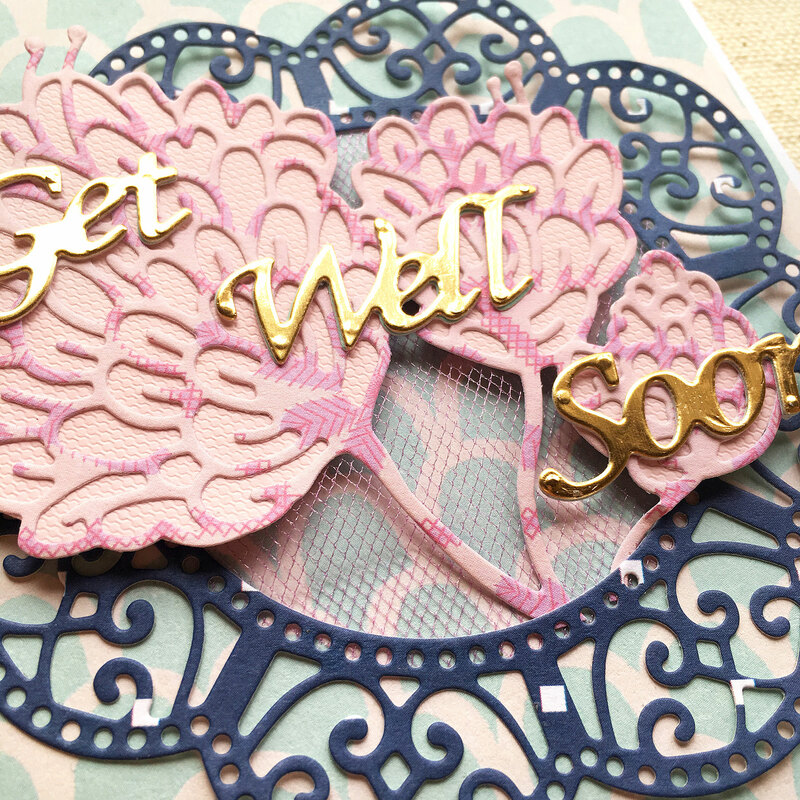 As in the first card, I added pink tulle for texture, and adhered several layers of cardstock to the title to give it a bit of dimension. 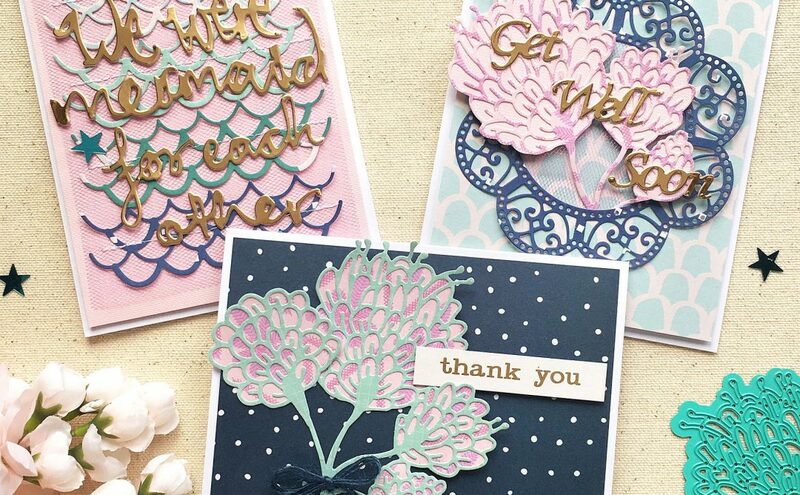 The flowers were also backed with patterned paper. My last card is definitely the simplest of the three. Here I picked a dark background to make the Sea Flower die cut pop a bit more. 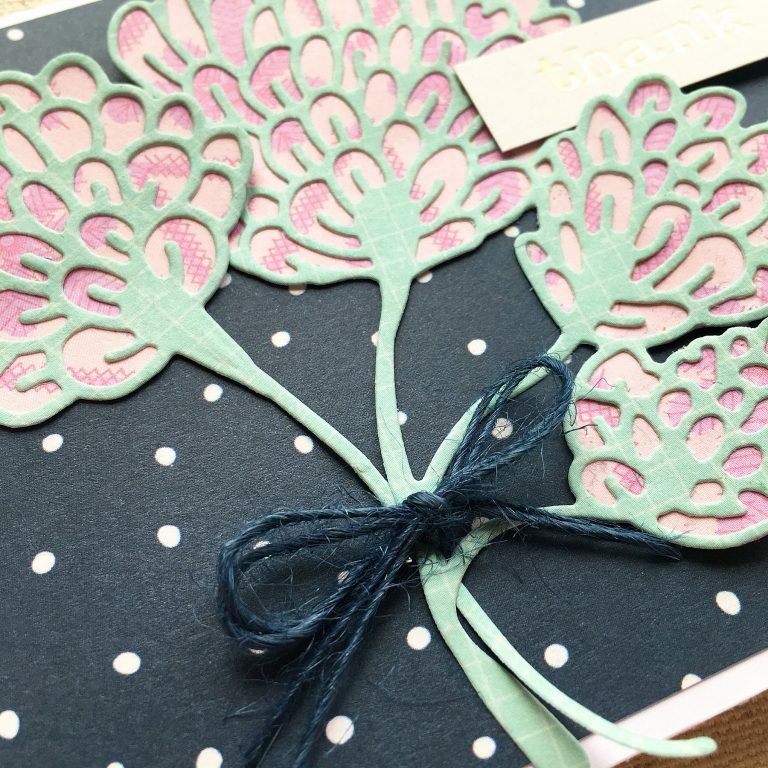 This die set comes with two images, so I cut both flowers from aqua/mint colored patterned paper, and backed them with the same pink paper I used in the previous card. I tied the “bouquet” with blue twine before adhering it down with foam adhesive, and finished the card with a simple sentiment. And last but not least, a bonus card! 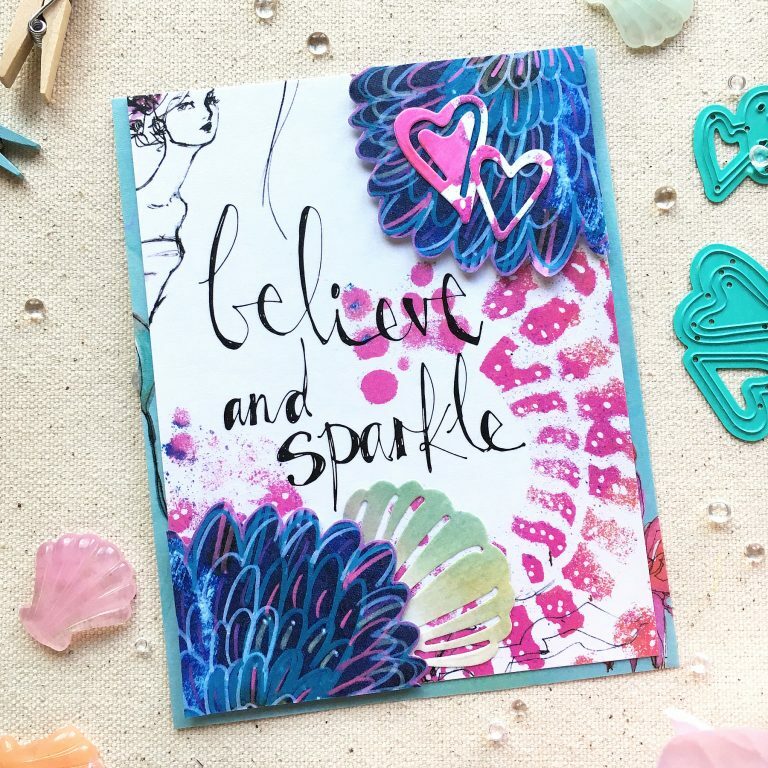 For this one, I went with a more artsy approach and used the Washi Sheets to create a colorful panel. 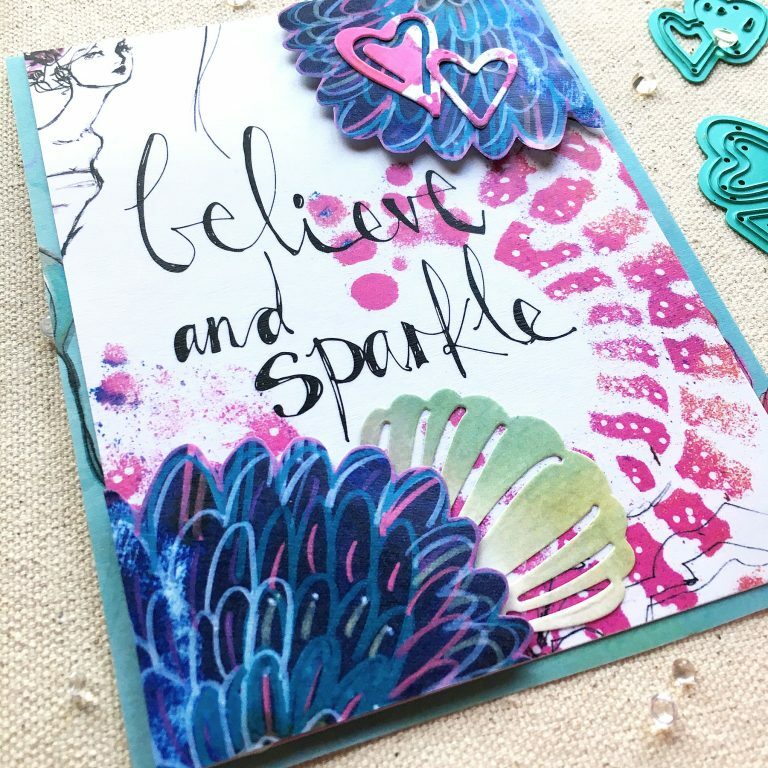 I love the “believe and sparkle” sentiment, so I trimmed the washi paper to include it and make it the focus of my card. All the work here is done for you. 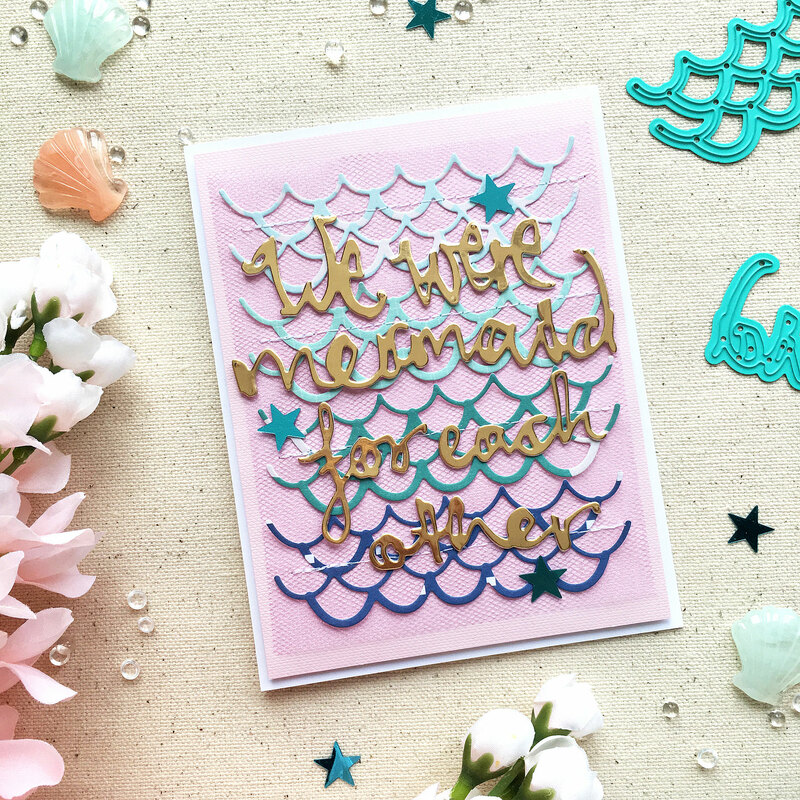 I could have just left the card as is, since the mixed media background is so gorgeous, but I decided to add some fussy cut sea flowers, a shell, and some hearts. For those I used the Mertail, and the You Are Unique die sets. 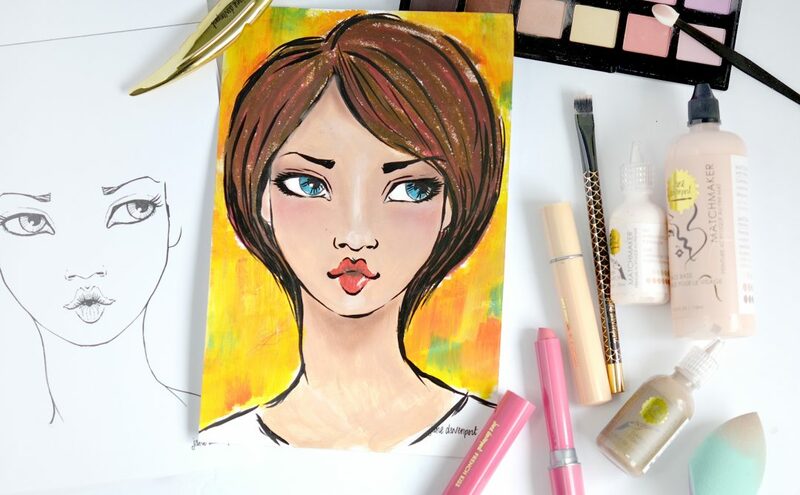 I truly enjoyed playing with these fabulous products. 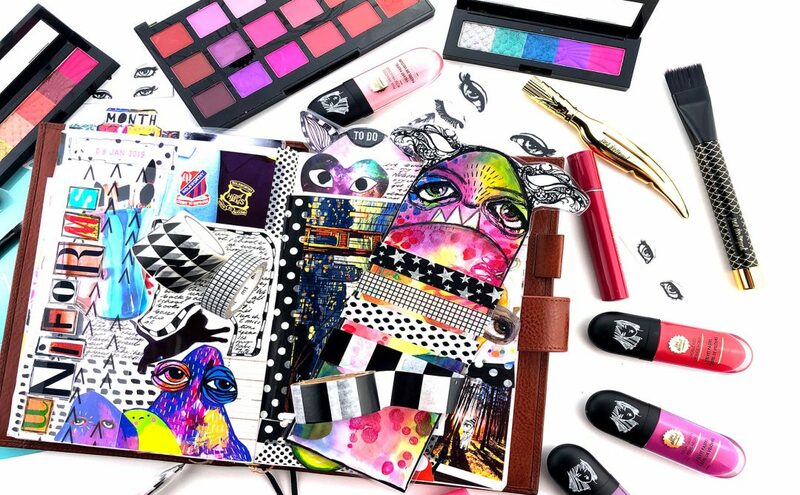 I’m not a mixed media artist by all means, but the versatility of the Jane Davenport Artomology Collection allowed me to easily adapt it to my own style and get creative with it. Thank you so much for stopping by today.